Nestled in the snowy Himalayas at the crossroads of South, East, and Central Asia, Kathmandu has been a major urban center for almost 2,000 years. Boasting seven UNESCO World Heritage sites, Kathmandu is a dream for tourists interested in history, art, religion, culture, city life and breathtaking natural scenery. In this customized city tour, our experienced guide will take you to four of Kathmandu’s stunning UNESCO sites, weaving a rich tapestry of Nepali culture and history. 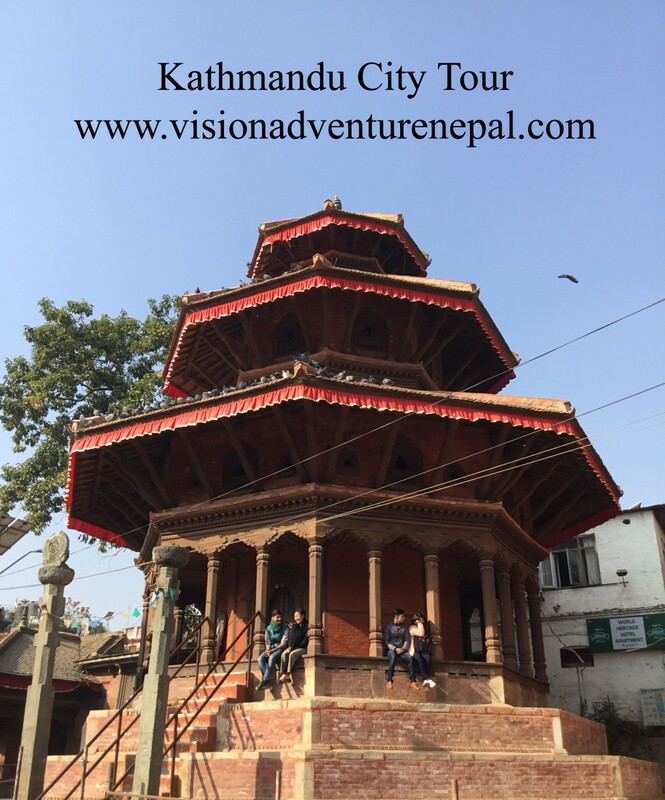 We’ll visit Basantapur Durbar Square, the beating heart of historic Kathmandu and home to the royal palace of the Kathmandu Malla and Shah Kings. Called “Hanuman Dhoka Durbar Square” in reference to a sculpture of the Hindu god Hanuman, this Square features red brick and ornate wood carvings in the middle of a quaint yet bustling pedestrian-only city center. We’ll then take in the stunning views from the Swayambhunath Stupa, a sacred Buddhist site overlooking the Kathmandu Valley. Enjoy a meditative moment with the peaceful stupa and stunning views—just watch out for the monkeys. Next, observe ornate sacred wood carvings at Pashupatinath Temple. Located on the ghat or banks of the Bagmati River, Pashupatinath bustles with Hindu Pilgrims who come to perform darshan or worship at the temple site. You may witness a sacred cremation ceremony as Hindus come to mourn their deceased loved ones on the banks of the auspicious Bagmati river. Your tour ends at the Boudhanath Stupa, one of the largest Buddhist stupas in Nepal and an important pilgrimage center for Buddhists from all over the world. You’ll walk past devout, orange-robed monks engaging in meditation as you join pilgrims and tourists alike in the traditional clockwise walk around the stupa.